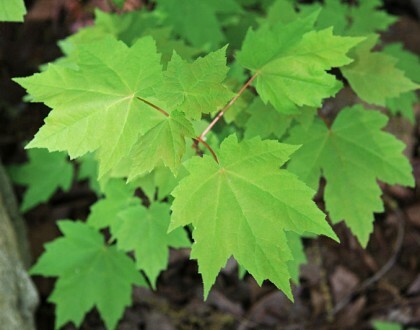 Red Maple is a medium-sized, cold-tolerant deciduous tree. 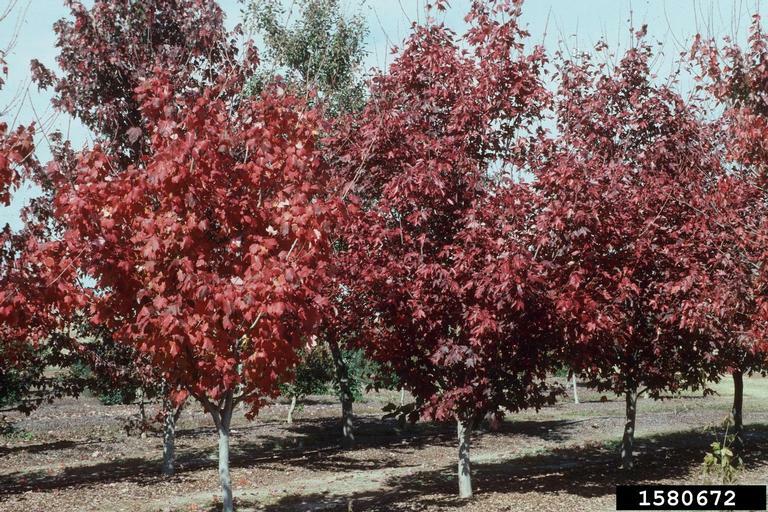 It has attractive, bright red fall foliage. 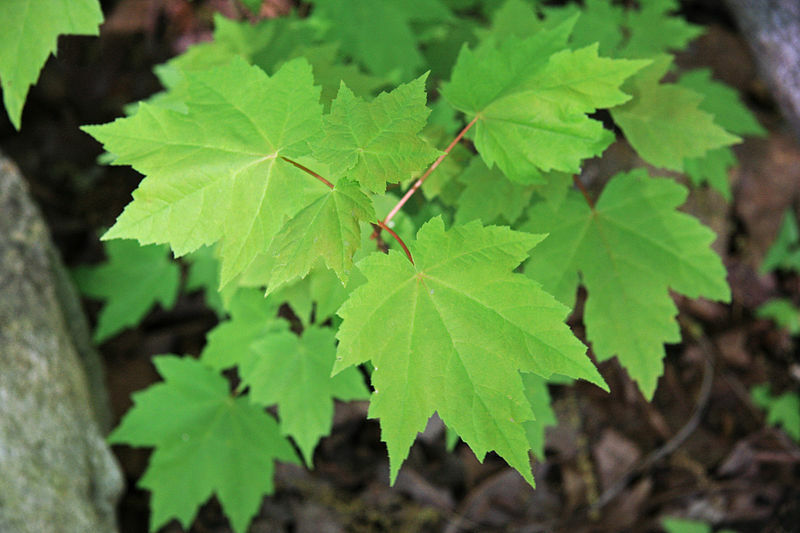 Clusters of red flowers, which bloom March-April, are followed by red maple fruits (double-winged samaras). Nectar from the flowers is a valuable food source for native bees and honeybees. This wildlife-friendly species is a host for butterfly and moth larvae (caterpillars), including Rosy Maple Moth (Dryocampa rubicunda) and Cecropia Moth (Hyalophora cecropia). The caterpillars provide an early spring food source for birds. 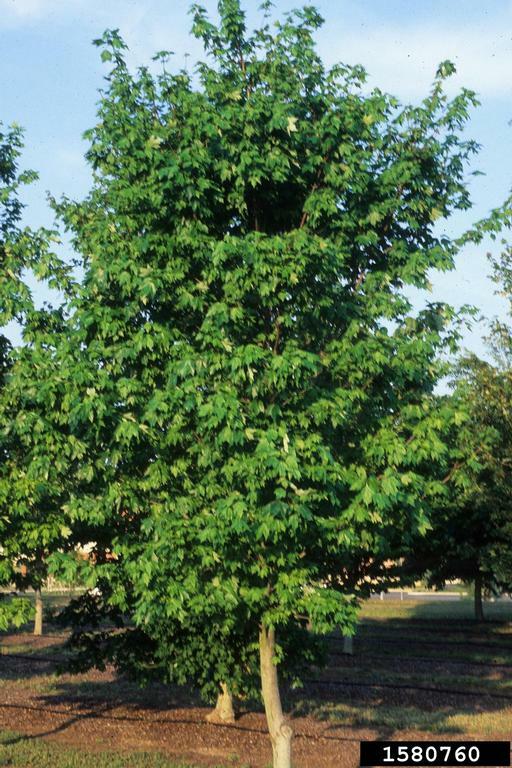 Use as a specimen or shade tree in the yard, but not too close to sidewalks or driveways, since this tree has a shallow root system, which may cause buckling of pavement.